"Combined with the new gameplay features and deeper experiences in our fan favorite modes, NHL 17 is the biggest year-over-year release we’ve ever had and we can’t wait to get it into players’ hands." 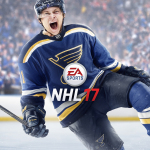 REDWOOD CITY, Calif.--(BUSINESS WIRE)--Electronics Arts Inc. (NASDAQ:EA) today released EA SPORTS™ NHL ® 17, the most exciting EA SPORTS NHL® to date, on PlayStation®4 and Xbox One. Watch the NHL 17 Official Launch Trailer now. 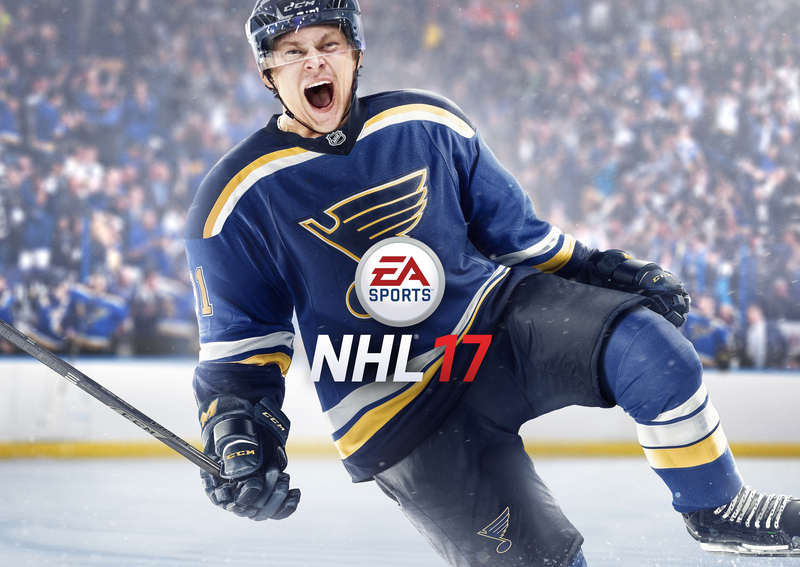 NHL 17 is available in stores and for digital download today in North America and on September 15 worldwide. From the crease to the open ice to behind-the-scenes control of an entire franchise, NHL 17 lets you shape your legacy no matter how you play the game. Built with more fan feedback than ever before, players can live out their hockey fantasy in three all-new game modes, enjoy deeper and more customizable experiences in their fan-favorite modes, and own every zone on the ice with new on-ice gameplay features and improvements. Whether you’re a skilled hockey veteran or lacing up the skates for the very first time, the new ‘Semi-Pro’ game difficulty and Visual On-Ice Trainer give fans the experience and coaching needed to elevate their game. Draft Champions, Franchise Mode and World Cup of Hockey introduce three new ways to play hockey in NHL 17. Feel the thrill of fantasy draft night in Draft Champions and make fast picks of superstar players that you immediately take to the ice. Manage the business in Franchise Mode where players answer directly to the team owner, each with unique goals and challenges, while managing budgets, players, promotional nights – and even relocation. The new World Cup of Hockey mode lets players compete for glory on the international stage as their favorite national heroes. In addition to all-new game modes, players can take complete control of the ice with more responsive gameplay using authentic goaltenders, new Net Battles on offense and defense, and bone-crushing Collision Physics. Dozens of new goal celebrations bring the biggest game moments to life and the most customizable EA SPORTS Hockey League ever gives fans the power to build the player, team and arena they’ve always dreamed of. Hockey Ultimate Team™ reaches new heights of collecting and strategy with the introduction of ‘Synergy’ – a new mechanic that adds deeper strategic choices based on pairing line-mates with similar playstyles to grant perks for the entire line and team. EA SPORTS NHL ® fans can also sign up for the EA SPORTS™ NHL Rewards ™ program, the best destination for hockey fans to register for free* and receive awesome hockey rewards, in-game digital content for Hockey Ultimate Team™ and other great surprises. EA Access± members on Xbox One can play 10 free hours of NHL 17 and receive a 10% discount on purchases of the full game. NHL 17 is available now in North America and will release worldwide on September 15, 2016 on Xbox One and PlayStation 4. For full details and to purchase the game now, visit www.easports.com/nhl/buy. NHL 17 is developed at EA Vancouver and is rated E10+ by the ESRB or PEGI 12; visit www.esrb.org and www.pegi.info for more information. NHL 17 will be available for Xbox One and PlayStation®4. Become a fan of EA SPORTS NHL ® on Facebook and follow us on Twitter. EA SPORTS is one of the leading sports entertainment brands in the world, with top-selling videogame franchises, award-winning interactive technology, fan programs and cross-platform digital experiences. EA SPORTS creates connected experiences that ignite the emotion of sports through videogames, including Madden NFL football, EA SPORTS™ FIFA, NHL® hockey, NBA LIVE basketball, Rory McIlroy PGA TOUR® golf, and EA SPORTS UFC®. NHL® 17 is an Officially Licensed Product of the NHL and the NHLPA.